Super excited to share that I’ve been commissioned to provide a soundtrack for Andy Warhol’s Empire. First showing will be the closing event of the 2018 Yorkshire Silent Film Festival, Abbey Road Picturehouse, Sheffield on the 27th May. 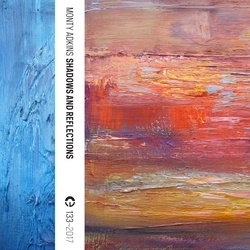 A new review of Shadows and Reflections is now on the 5:4 website here. It’s a really great review that really gets to grips with the tectonic layers slowly shifting within the piece.